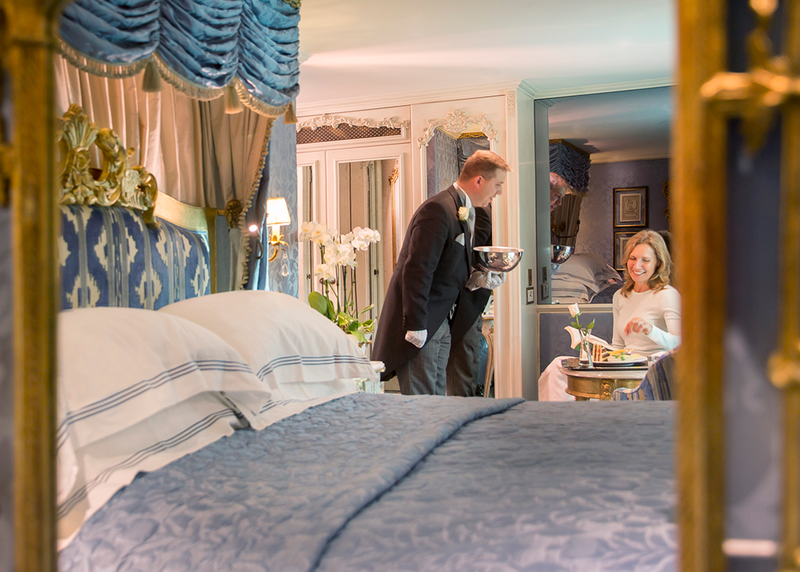 Onboard the “#1 River Cruise Line,” as voted by readers in the Travel + Leisure 2018 World’s Best Awards, you’ll be treated to one-of-a-kind, award-winning ships, the most all-inclusive amenities, delicious farm-to-table comfort cuisine, your choice of carefully crafted excursions, outstanding service and much more. Uniworld’s ships are museums on water, complete with handcrafted furniture commissioned exclusively for Uniworld, bespoke design schemes reflecting their destinations and original artwork from renowned artists. Take the S.S. Beatrice, for example. The newest Super Ship showcases a fresh, sleek look complete with yacht-like finishes throughout. There’s all-inclusive and then there is a world beyond that includes premium liquor, Exclusive Experiences, airport transfers, all gratuities, in-suite butler service and more. Indulge in bars stocked with 11 vodkas and a collection of 28 whiskeys and bourbons. Or enjoy morning yoga sessions and TRX® Suspension Training classes, compliments of their well-being coaches. Guests can enjoy a taste of their destinations onboard through meals crafted with ingredients sourced from the destinations they’ll sail through and fine local wines selected by Uniworld’s onboard sommeliers, including wines from their own award-winning vineyard. Savor recipes inspired by Bea Tollman, chef and author of the highly acclaimed cookbook, A Life in Food. Every Uniworld cruise features a robust menu of daily excursions designed to showcase the beauty and culture of the places guests visit. Embark on a Let’s Go walking, hiking or biking experience. Venture out on an intimate Village Day tour of one of Europe’s most charming towns or opt for a Do as the Locals Do adventure designed to give guests an authentic look into their destinations. On every Uniworld cruise, you deserve the best, and the service guests receive on their cruise should be no exception. That’s why service isn’t merely a hallmark of distinction, it’s the hallmark of everything they do. The phrase “no request is too large, no detail is too small” is evident in everything they do to help create unforgettable experiences.